Happy Halloween, wait a minute it’s Christmas… if you’re looking for a creepy gift this festive season I’ve got you covered. 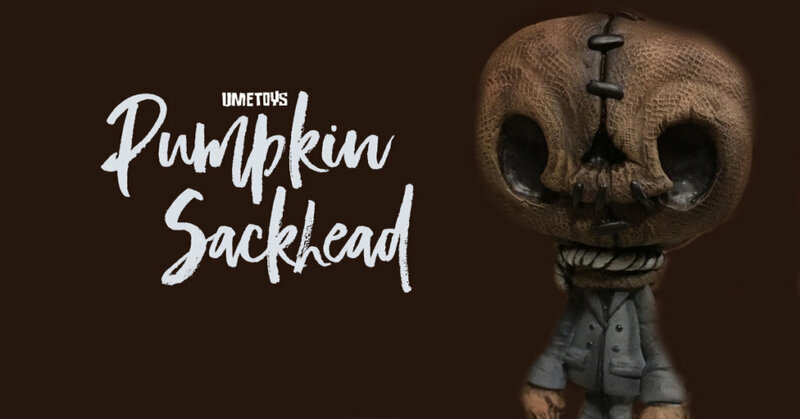 UME Toys presents to you Pumpkin Sackhead! A new sculpt for the last month of the year. Standing just over 4 inches tall cast in resin and painted using acrylic paints and airbrushed details. UME Toys has 4 Pumpkin Sackheads ready to ship each will come in a header carded bag and signed on the base. If you’d like to add this release to your collection he will be available at 9.00pm London time on Wednesday 5th December in the UME store.